There is a lot of rumor hype in the world of smartphones, and for once it is not an Apple device. The Samsung Galaxy SIV has peaked a lot of interest lately. Here are all the rumors that we know so far. Samsung has had a streak of increasing the screen size of each subsequent phone, and rumors point to it happening again with the Samsung Galaxy SIV. The current Galaxy SIII has a screen of 4.8” and most rumors point toward the Samsung Galaxy SIV growing closer to the 5” mark, if not reaching it. Given that the Galaxy Note series already satisfies the need for 5” screen phones, I’m not sure why Samsung necessarily needs to increase screen size. There have also been rumors of the screen being unbreakable and/or waterproof, but those don’t seem as likely. 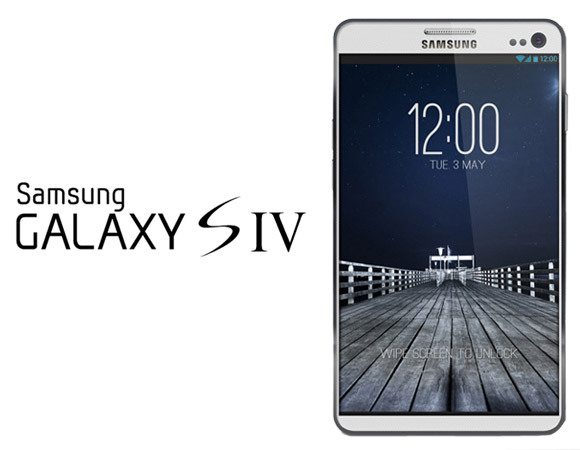 Other rumored specs of the Samsung Galaxy SIV include a thinner and lighter case. The phone will also supposedly come with a pen and have no buttons. Without any buttons the phone will likely need to rely on touch gestures or on screen buttons for things like returning to the home screen. But perhaps the biggest specs rumor is the new chip. At CES, Samsung unveiled the Octa, an 8-core processor for mobile phones. The chip possesses four powerful cores and four lower powered cores that handle simpler tasks and are used during normal everyday functions. This chip’s functionality could also lead to better battery life. It hasn’t been confirmed that this will be the chip in the Samsung Galaxy SIV, but almost all speculation points to that being the case. As far as a release date goes, there have been rumors swirling around a March release date. However, this is rather early in my opinion. A more likely time frame would be April or May. It would allow Samsung to steal Apple’s thunder given that the iPhone 5S will likely be announced in the summer. Samsung is definitely pleased with the amount of hype their devices are finally getting. However, one thing they may be unprepared for is the drop in current phone. When rumors start percolating, consumers tend to hold off on the current offerings to see what the future holds. Apple has experienced this numerous times with iPhone and iPad sales dropping in the months prior to a rumored release so don’t be surprised if Galaxy SIII sales start to stumble due to rumors of the Samsung Galaxy SIV.